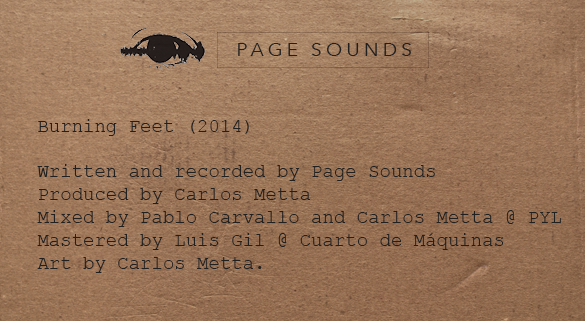 Page Sounds is Carlos Metta’s main musical project. He is a multi-instrumentist, composer and producer based in Mexico City. His sound has always been able to erase the line between catchy and experimental music, this has helped him create a brilliant mix of rock, folk, pop, world music and electronic. The collaboration between Page Sounds and Pedro y El Lobo began with the launch of their debut album Burning Feet in 2014. After that, Carlos faced the challenge of taking such an eclectic record to live presentations. A band strengthen by Teddy Nanes (guitar and voice), Luis Sokol (bass), Daniel Sissa (wind instruments) and Andrés Kahan (drums and percussions) transformed the sound of the original recordings in shows filled with obscure tones and intensive jams. That dynamic has permeated when the band entered the studio in 2018 and molded what we can hear today on their new Ep, titled Better Days. There is a clear search for movement and sound discovery in Page Sounds songs, their music is under continuous renewal of styles and instrumentation. In Better Days we can see the reflection of an EP that is a lot more psychedelic with heavy hooks, epic distortions, and abstract lyrics. The influences that originated the project are still there, but they are arranged now in an elegant and subtle way under a more mature and free sound. Pedro y el Lobo 2017 © Copyright.